HOME DZINE Garden | Build a pergola... the easy way! 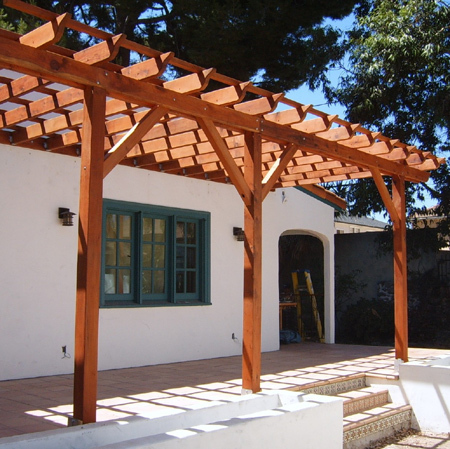 Build a pergola... the easy way! 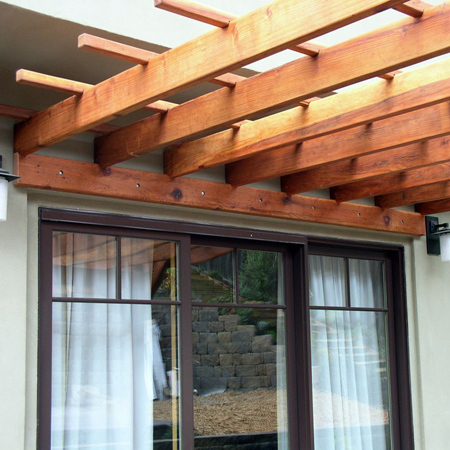 Browse the Internet and you will find plenty of projects that show you how to build a pergola, some of which range from designs that will blow over in the wind, to those that are way over the top when it comes to materials and technique. 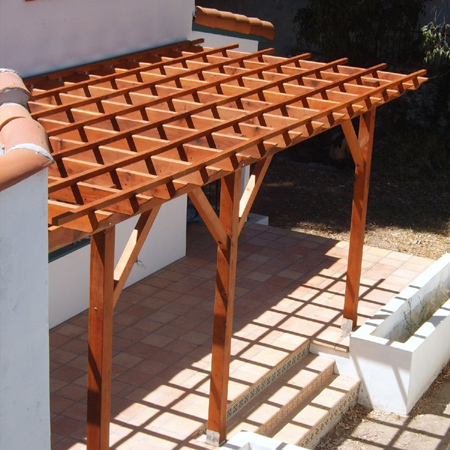 We managed to find a pergola design that is simple and affordable, and that anyone with some DIY savvy can tackle in a weekend or two. 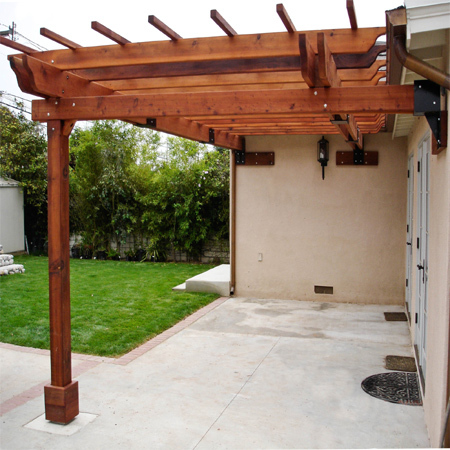 First and foremost... have plans drawn up for your pergola. As the structure is attached to the existing property, you will require plans to be drawn up and submitted to your local Town Council for approval. Browse the Internet for Draughtsman and you're sure to come up with more than a few options for your region. Secondly, once you have plans in hand you can visit your local Builders Warehouse to buy all the necessary supplies and materials you need for the project. A visit to the timber section and you will see a wide selection of PAR pine. For a sturdy structure, uprights should be no less than 100 x 100mm, and support beams 40 x 150mm PAR pine. The uprights need to either be mounted in a concrete base that is 300mm deep, or bolted to a concrete slab with steel mounting plates. 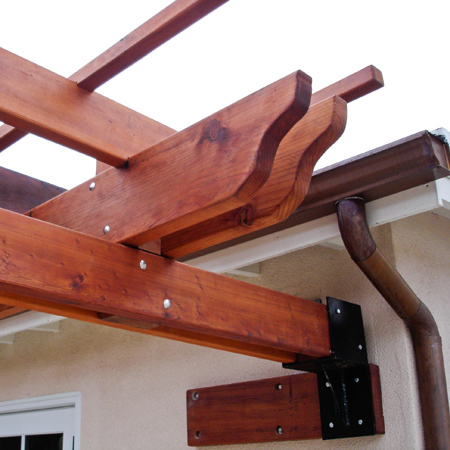 For mounting the pergola to the existing structure you will also need steel mounting brackets or double hangers and bolts. For aesthetic purposes, a single crossbeam mounted above a window or door can be used as a support, rather than mounting additional steel brackets. To reduce the overall weight, cut down on time-wasting techniques, and save money, the 32 x 32mm PAR pine top rails can be nailed onto the cross beams. 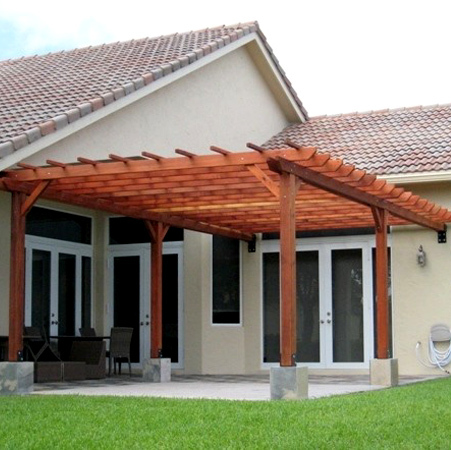 Simple yet stylish, a pergola doesn't have to be a mission to build. 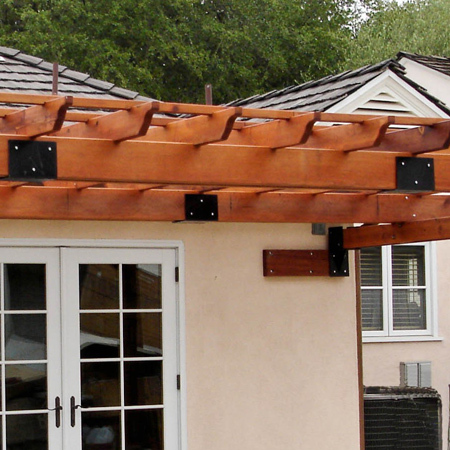 Take a look at the designs shown here and stock up to start building a pergola of your own.